What is a Chatbot and How Can You Use it For Business? Or at least that is what we expect our smart bots to be. But is that what we have today? Are we anywhere close to what JARVIS can do? I will try to answer these questions and define Chatbots in their current form. Most importantly how you can use chatbots for the betterment of your business and drive revenue. For us to understand what a chatbot is or isn’t, we need to first learn how do we define it. A chatbot is a computer program or a list of instructions that simulates a human conversation via texts or voice. Going by this Alexa, Google Home and Siri are all chatbots and use either voice or text to communicate. A chatbot (also known as a chatterbot, Bot, IM bot, interactive agent, or Artificial Conversational Entity) is a computer program or an artificial intelligence which conducts a conversation via auditory or textual methods. Did you notice Artificial Intelligence? Don’t worry, you are not the only one! Most people are obsessed with the word. Considering how cool JARVIS is, it’s no surprise either. But, Chatbot, as they stand now, are not fully artificially intelligent or capable of it, yet! Where do chatbots come from? Chatbots, at least all the usable versions use something the community calls NLP (Natural Language Processing). Not to be confused with Neuro-linguistic Programming, NLP deals with analysis and processing of natural language. 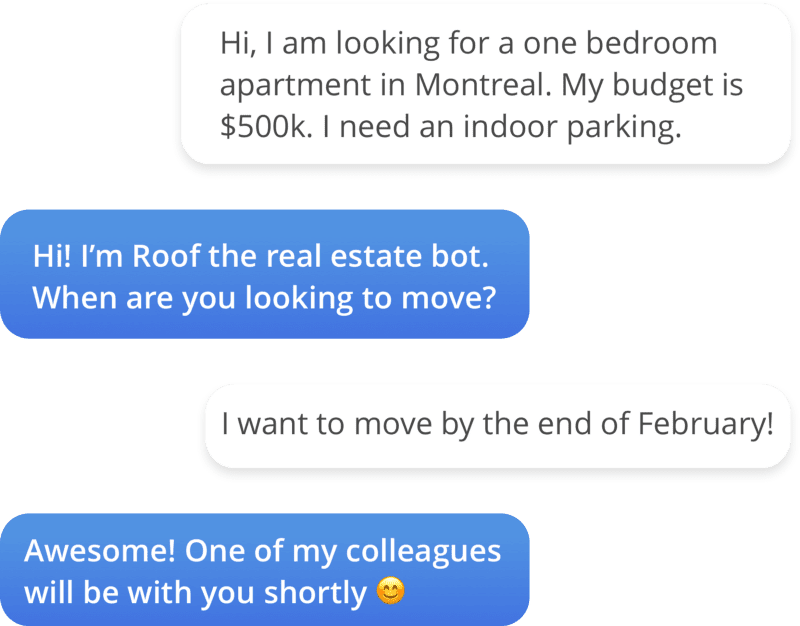 A chatbot, whose main objective is to simulate a conversation like its human creators, would need to process and understand the common language. The common language is the mode of communication/language that was developed and used by the populace to talk to each other or get their ideas around. Some really advanced chatbots have been known to use NLP to process and simulate conversations. Though the fact of the matter is NLP itself is not yet fully developed i.e. chatbots to some extent answer a specific set of queries and build a conversation but they are yet to truly intelligent or understand language. NLP is hard and the progress is slow. 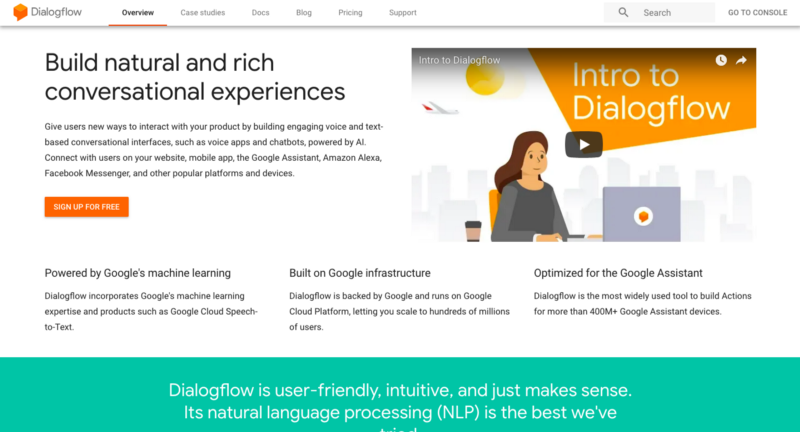 It would take sometime before NLP would truly understand natural language (whatever we say). Consequentially, chatbots haven’t reached a state where it can understand the human conversation and respond perfectly. Most chatbots can only answer predefined questions and the more advanced ones may even learn from these interactions. Respond with the matched predefined answers. This what I call a simple linear bot with decision making confined to predefined keywords and answers. This means chatbots are not as smart as you thought. Chatbots are not JARVIS yet! Chatbots by their definition are meant to converse with a human as another human would. Current technology is not capable of such a feat. Though that is the end goal. Chatbots are anything that simulates a conversation with a human. Google home and Amazon Alexa are both chatbots and they use voice to conversate. A chatbot is a program that follows a set of rules and sometimes AI to interact with users just like any other human would. Though we inherently assume that chatbots would have AI, it is not always true. And this takes us to the part where we try to differentiate between various types of chatbots. A linear chatbot is also called sequential chatbot, rule-based chatbot, Q&A chatbot among other things. The idea is simple and the most used – the questions and their answers are predefined and whenever a user asks anything, the bot tries to match keywords with what’s available in the predefined setup. If matched, the answer(s) are sent back as a response. One of the defining features of these is that they use NLP, like the linear chatbot above, ML chatbot needs a set of predefined questions and answers along with keywords (also called intent). This initial data is called a Learning Set, which the chatbot uses to answer user’s initial questions and learns from the answers and responses to eventually be smart enough to answer queries accurately. Imagine this as we humans learn from experiences in our life, chatbots learn from data that is fed to them. 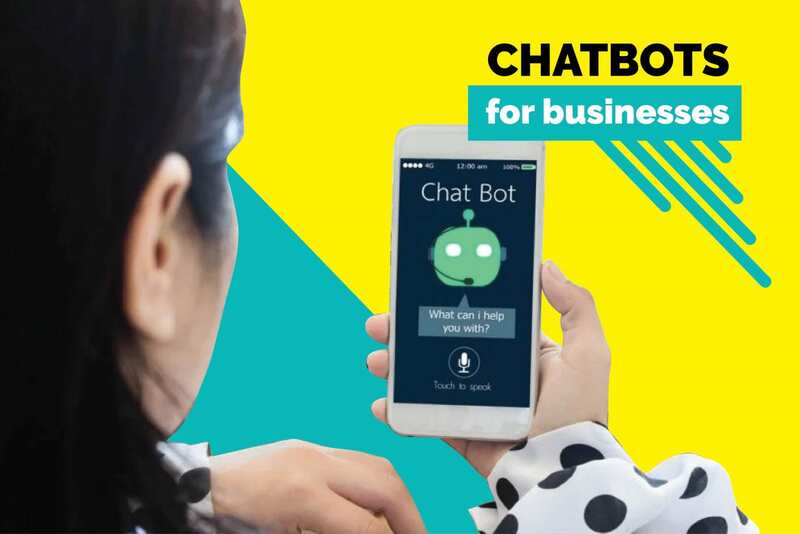 How Can You Use a Chatbot in Business? Though chatbots are the future, they might never be able to replace human intelligence, not unless true AI (AGI – Artificial General Intelligence or ASI – Artificial Super Intelligence) comes into the picture. Chatbots, like the machines of the industrial revolution, can take over anything that’s repetitive and doesn’t require emotional intelligence and decision-making capabilities. If you ever have been a part of a support team, you should have noticed that more than 30% of your queries are about things already present on the website, either on the FAQ page or in the support documents. Most of these queries rarely require any action and is limited to sharing predefined answers and links. 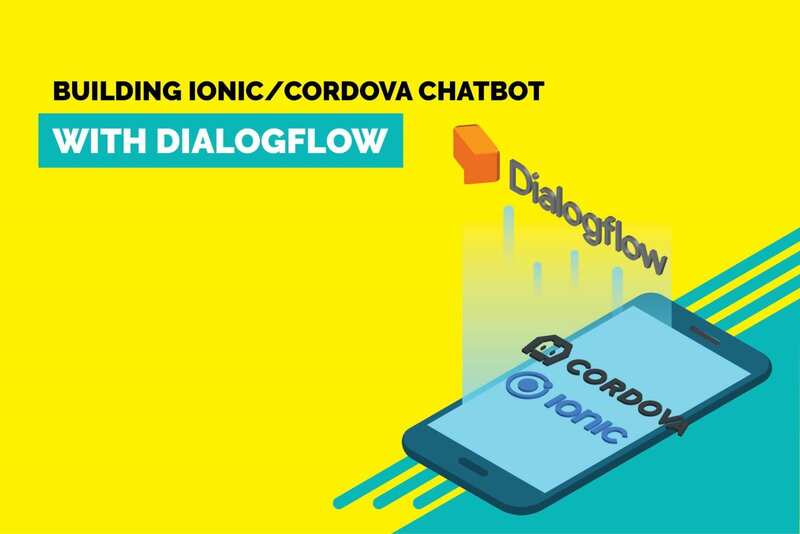 Chatbots can help the customer by connecting there queries to FAQs and support docs and sharing an answer from this predefined set. 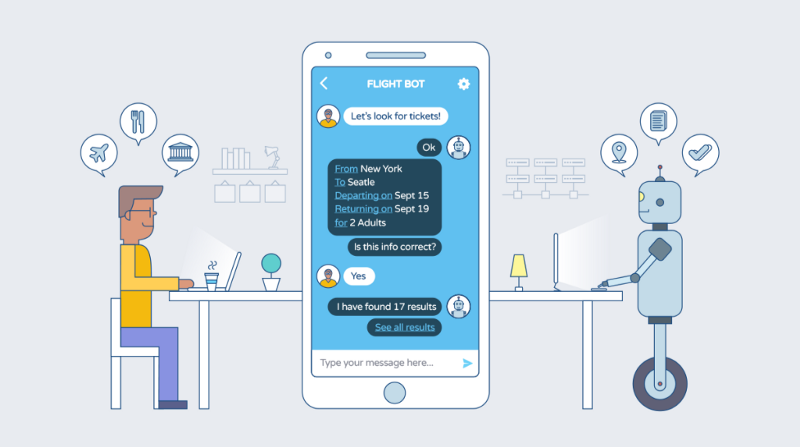 Additionally, chatbots can offer to connect the customer with the support agent in case the query couldn’t be found in the predefined set. This type of bot is what we call an FAQ bot. > Bonus: Check out our homegrown FAQ bot, Liz and how to effectively use her, here. One of the banes of being in marketing is that the ratio of your website’s visitors to qualified lead conversion is such a small number that even Yoda would have been surprised! Chatbots have been used to tackle this problem. Companies like Drift, Kommunicate, and Botsify among others have built businesses around this. How would you use this? 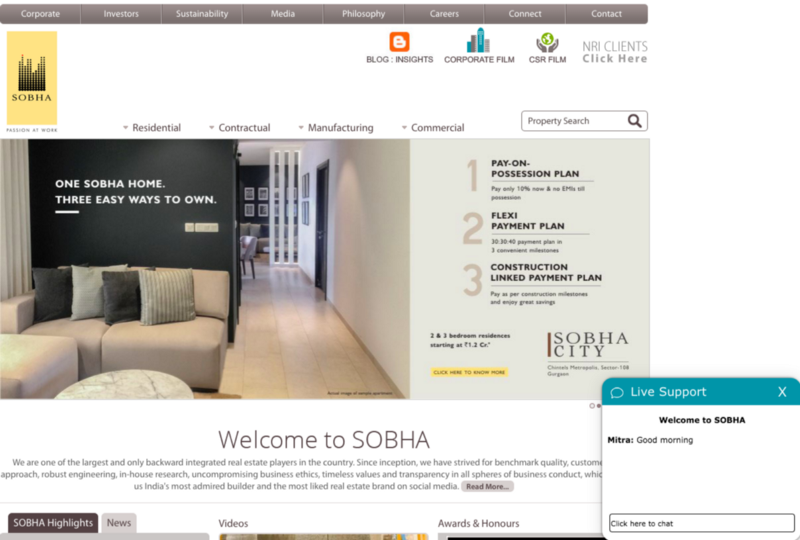 Let’s take an example if Shobha developers (a real estate and construction firm) ever tried to put in a bot on their website, and they will! Eventually. The bot would then ask questions depending on where the visitor is on the website. For eg:- if the visitor is on the pricing page, the bot can offer to explain the pricing plan itself. Chatbots have been known to add up to 30% more qualified leads to the top of the funnel. Some of them can even be used to complete an entire sales cycle, a very good example is the ticket booking bot. One of the most interesting aspects of a bot is its ability to trigger and change in real time based on the current situation of the visitor or the customer. This is very similar to event-based email marketing that is being extensively used by most digital marketers including yours truly (bows!). The chatbot can include the events that the customer goes through and change the way it interacts with the said customer. 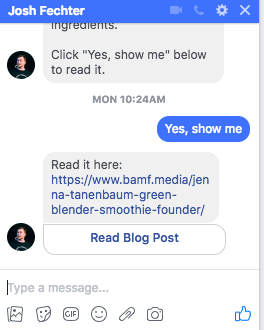 The major difference from email-based followup being that chatbot is real-time and the entire interaction takes place while the customer is on your website. This tactic especially works when the customer is at decision-making stage and needs just a nudge to talk to the sales team or set up a demo. Combine this with a popular social media like Facebook and you are looking 80% open rates with up to 40% clickthroughs. He even sends his newsletter via Facebook. Because a chat-based conversation just works! Most companies that I know of use one or another team collaboration and chat tool, some of the most popular ones include Slack and Facebook Workplace among others. Integrate chatbot into these tools to automate a bunch of time-consuming processes. Automated team updates and status: A chatbot integrated into Slack or Facebook messenger can be used to gather daily updates from the team. It can compile a report and send it to the team lead or manager. Internal notifications: Sales teams keeps missing scheduled demos? You can use chatbot to sent notification to the entire team, 15 minutes prior to the call. Internal FAQs: Human Resource, Finance, Tech… etc follow a certain set of rules and regulations and in some industries like healthcare and Finance, there are government regulations that need to be followed. Chatbots can help internal teams find the right regulation based on the intent of the question. This not only simplifies the search itself but also makes sure that the team follows the given regulations. And like support team’s case, internal teams won’t have to spend time answering routine questions. Abandoned cart, is a scenario where a customer adds the product into the cart or clicks on the payment button; but doesn’t go through with the purchase. A chatbot, in the case of the abandoned cart, identifies if the user is back on the site and proposes to complete the transaction for him. 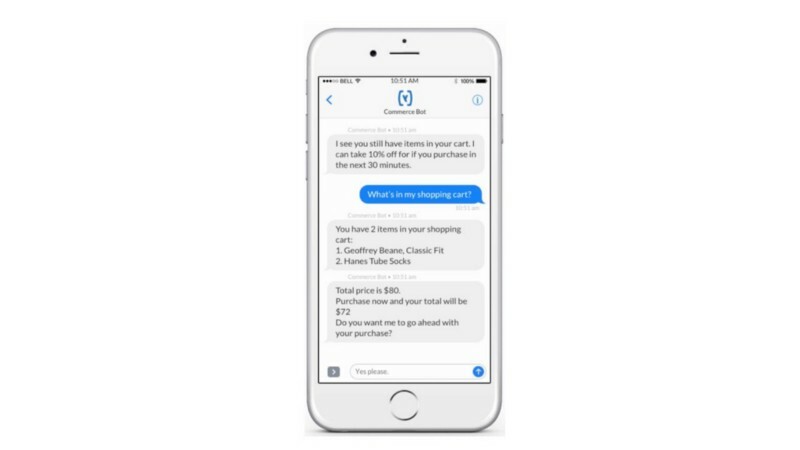 A chatbot can trigger messages based on events such as an increase in prices and related events to compel a user to complete the transaction. Though similar things have been tried via emails and notification with significant results. A Chabot based approach has shown to give 40% better results than any email or notification. on how to build one. 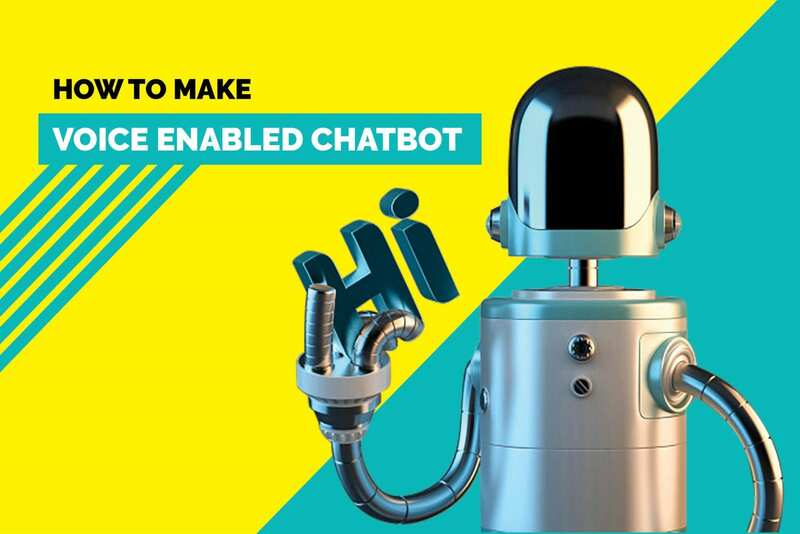 There are more than enough tools and products on the internet that can help you build a decent Sequential Chatbot (see the types of chatbot section above). Which is sufficient for most tasks, though if you are looking to make an actual dent in the productivity of your team, you would have to use machine learning to develop an intent-driven chatbot. It learns and responds from the customer responses and manual updates. Though self-learning part of it might be hard to implement, you can add intent to it by yourself. Which is then used by the bot to answer queries. And it is easy enough for a non-developer to implement. Pandorabots — An end to end chatbot platform. I like it for the fact I won’t have to look for a separate server or other resources. Free for the most part. In most of the cases above you would need a platform to publish the chatbot on to your website or App. You can always build your own publishing unit, a better way would be to build the bot in any of the above chatbot platforms and integrate it with something like Kommunicate. 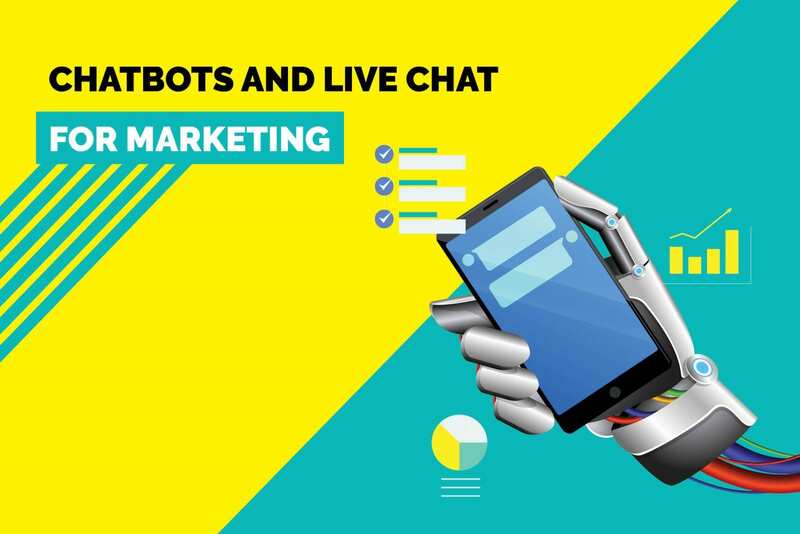 Chatbots are the next step in the evolution of customer communication and most of us have just begun to understand its importance or how to make use of it. We also need to understand that the chatbots we have now will need human intervention in more complex cases. Though a true AI chatbot is still in works, we can still use the ones we have (sequential and intent-based chatbots). Having said that investment in chatbots will add value in the long run both for you and your business. Subscribe here to get the good stuff — we solemnly swear to deliver top of the line, out of the box and super beneficial content to you once a week. At Kommunicate, we are envisioning a world-beating customer support solution to empower the new era of customer support. We would love to have you on board to have a first-hand experience of Kommunicate. You can signup here and start delighting your customers right away. How to Make a Voice Enabled Chatbot? How to Build Strong Customer Relationships?